One of the last big independent names in air travel, Alitalia, signed an agreement recently with the global alliance SkyTeam. 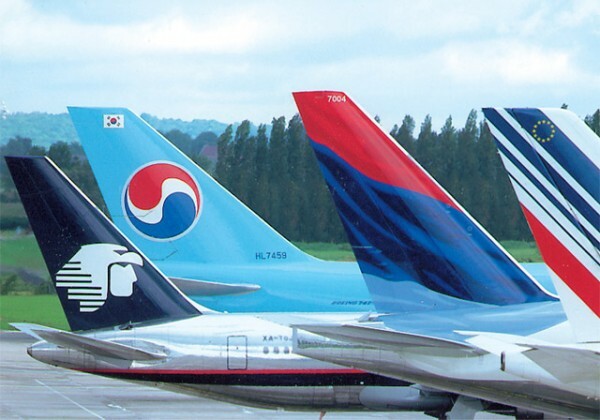 Members include Air France, Delta Airlines, Korean Airlines, Aeromexico and CSA Czech Airlines. CSA’s international hub in Prague strengthens Skyteam’s position in Europe, offering passengers increased access to Central and Eastern Europe, the Middle East and Asia. The agreement follows the cancellation last year of the alliance Alitalia had with KLM, and more recently there were rumors that Alitalia was in talks with other carriers, such as Swissair and Air France. Alitalia says it hopes the alliance will boost its productivity and help cut its current annual losses. The airline is also expected to recapitalize as an initial step towards its long-awaited privatization, which is one of the reasons for KLM’s defection in May of last year. With one of the world’s most extensive hub networks, SkyTeam says it offers its more than 200 million annual passengers a worldwide system of some 8,000 daily flights. These flights cover all the major destinations, particularly in the Northern Hemisphere, where nearly 80 percent of the world’s traffic flies. In addition to SkyTeam’s extensive current flight offerings, the alliance says it is well positioned for future growth in flights and facilities. Paris’ Charles de Gaulle Airport, Air France’s hub, and Seoul’s new Inchon Airport, the hub for Korean Air, are two of the few major hub airports in the world with room to expand. Aeromexico’s Benito Juarez International Airport hub in Mexico City provides SkyTeam passengers with access to Latin America’s leading airport, with more than 6,000 passengers passing through its gates per hour. Air France’s operations at Charles de Gaulle Airport offer access to Europe’s largest hub with more than 14,000 connections available in less than two hours each week. Delta’s hub at Atlanta Hartsfield International Airport offers passengers more connections than any other airport in the world, with 1,316 daily flights to 126 destinations. Korean Air, one of Asia’s largest carriers, services 78 destinations in 29 countries including Japan, China, Korea and Southeast Asia, and through its Seoul hub offers customers fast and convenient connections to major cities around the world.